Probably more professional guides use this pack than any other on the market. Considered the “ultimate” lumbar pack with its two zippered main compartments and signature “zip-down” fly bench, the Waterdance accommodates extra gear and accessories for long days on the water. Can be worn as a chest or lumbar pack. Two generously sized main compartments. Signature, zip down fly bench with replaceable foam. fishpond Jacquard accent webbing and climbing. cord loops for attaching tools and accessories. Interior pockets for extra gear storage. Padded, breathable air mesh backing. Functional features aside, this has to be the sexiest gear bag to be found. The Costa Del Mar Blackfin is one of the best sellers in the range and fits most faces. 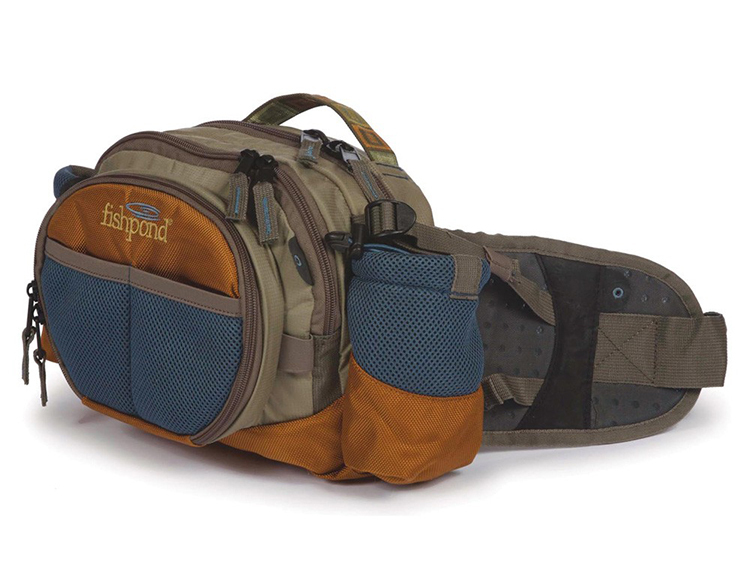 The Fishpond Tomahawk Fly Tying Kit Bag is soft-sided for expandability. Set to be one of Airflo's biggest sellers. The Wavehopper Inflatable Fly Vest has smashed the price barrier for this type of product. For longer days on the water or for those who need to carry lots of gear, the Wasatch combines a vest-style front with a versatile backpack. The integration of new fabric makes the Sagebrush Mesh Vest look even better, it is still one of the most durable and cool vests around.